So far, research into medical marijuana, though limited in scale, points to marijuana as a viable option for pain management. However, marijuana may also provide positive results in the treatment of mental health conditions such as anxiety, insomnia, and depression. Unfortunately, because of marijuana’s classification as a Schedule I drug and the stigma surrounding its usage, research about marijuana’s effects on mental health is limited. To further complicate matters, results from the available studies have been mixed. Various studies over decades have shown both negative and positive associations with marijuana usage as well as no association at all. This is partly due to the highly individualized nature of mental health conditions, including a person’s temperament, history of mental health issues, and other factors that make it extremely difficult to gather conclusive data. At this point in our understanding, it seems marijuana’s effects on mental health will vary greatly depending on the individual’s reaction. Because of this, it’s best to consult a medical or mental health professional if you’re considering marijuana as a treatment for mental health issues. They can provide more information, as well as individualized advice about how marijuana might affect you, and can serve as an ongoing resource as you experiment with a treatment plan. With that in mind, here are some potential benefits as well as possible adverse effects associated with marijuana usage and specific mental health conditions. Stress reduction and anxiety relief are some of the most common reasons people use marijuana. In the treatment of depression, marijuana acts faster than traditional antidepressants, which can take weeks before having an effect. For some people suffering from anxiety and depression, marijuana can offer peace of mind, better energy and focus, better appetite, stress relief, and an overall enhanced mood. On a biological level, research into marijuana’s effects on depression suggests that it could restore normal endocannabinoid function in the brain. The endocannabinoid system refers to naturally occurring chemicals which affect a person’s motor control, cognition, behavior, and emotions. Depression caused by chronic stress may disrupt the brain’s production of endocannabinoids. However, marijuana’s ability to stabilize the production of these chemicals can ease symptoms of depression. In contrast, some research suggests that regular to heavy marijuana usage can be associated with higher rates of depression, though it isn’t clear whether the depression is caused specifically by marijuana or other factors in an individual’s life. It’s also possible that marijuana could worsen symptoms of anxiety and depression in some individuals, depending on their reaction. Since anxiety and depression can be caused by a variety of biological, psychological, environmental, and social factors, there is no one cure that will fit every person’s needs. Depression symptoms are different for everyone, and the effects of marijuana on depression will also vary greatly between individuals. Although depression is not a qualifying condition for medical marijuana in most states, it’s always best to work with a medical professional when considering marijuana as a treatment option. You should also consider other forms of treatment, including talk therapy, journaling, daily exercise, and traditional antidepressants to identify the best treatment plan for you. While sativa strains often have uplifting and energizing effects, indica strains tend to provide heavier, relaxing effects on the mind and body. Obviously, this means using indica strains as a sleep aid could greatly improve the lives of people who suffer from insomnia. Some researchers suspect this is due in part to the terpene content in many indica strains. Terpenes refer to the aromatic qualities of a strain, and indicas often have more sedating terpenes than sativa strains. Stress is a common cause of poor sleep, and as with anxiety and depression, using marijuana to stabilize your endocannabinoid system will help you to achieve a better night’s sleep. Other conditions like chronic pain, PTSD, and multiple sclerosis may also interfere with your ability to sleep, marijuana can also relieve symptoms that would keep you awake. It’s worth noting that marijuana can cause effects similar to a hangover from drinking too much. Although it shouldn’t cause typical hangover symptoms like vomiting and severe headaches, it may cause you to feel dehydrated, congested, dry-eyed, lethargic, and may cause your mind to feel foggy. The best way to prevent this is to avoid cheap, untested marijuana, drink plenty of water, follow a healthy diet, and avoid overindulging. Bipolar disorder is a condition that causes extreme mood changes wherein a person often moves between extremely low, depressive moods and high, manic episodes. These changes are often hard to predict, and may also compound with symptoms of psychosis such as hallucinations and delusions. While prescription medications and therapy can relieve some of these symptoms, treating bipolar disorder with marijuana can also have positive effects. The greatest positive effect marijuana may have on those suffering from bipolar disorder is an improved mood. This could be especially helpful when a person is in a depressive state of mind. While some have critiqued marijuana, saying it hinders a person’s thinking and memory, some studies have found that there is no significant difference in a bipolar person’s mental impairment when using marijuana. Again, marijuana can affect each person differently, and for those with bipolar disorder, it may exacerbate both manic and depressive symptoms. In some cases, marijuana could directly trigger a manic episode, and research has pointed to higher suicide rates in people with bipolar disorder who also used marijuana compared to those who didn’t. For this reason, those with bipolar disorder should be very careful and work closely with a medical professional when using marijuana. As you can see, there’s a wide spectrum of effects marijuana could have on your mental health. However, there are some factors worth paying attention to if you’re considering beginning a treatment plan using marijuana. First, the age at which you start may have an impact on the development of your brain. 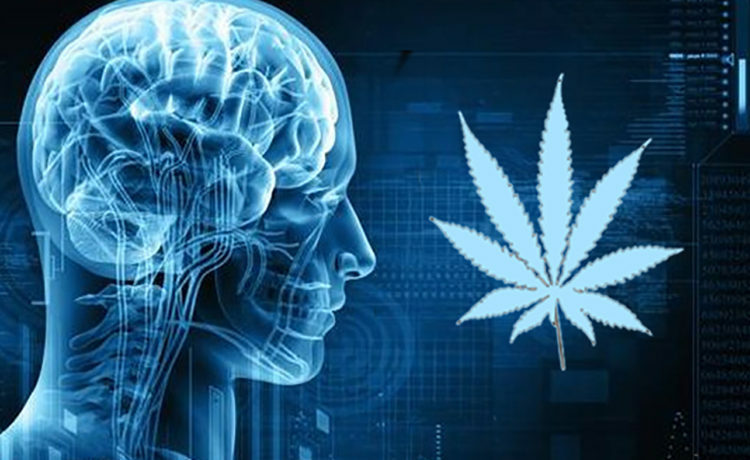 The neural connections and white matter in an adolescent’s brain are still developing, and those who use marijuana may disrupt this growth. How heavily you use marijuana can also have an impact on your mental health. This includes how much, how often, and the overall length of time you’ve used marijuana. The more exposure you receive over time determines how big of a role marijuana plays in how your emotions are regulated. This could lead to dependency issues and may make some people more vulnerable to mental health conditions like depression, anxiety, and bipolar disorder. While research on the mental health impacts of marijuana continues to make progress, we have a long way to go in uncovering conclusive facts that can be applied to many people. As more states create laws allowing medical marijuana and the negative stigma surrounding its use gradually fades, it is likely researchers will find more definite applications for marijuana and more people will be able to use marijuana to effectively treat mental health issues.